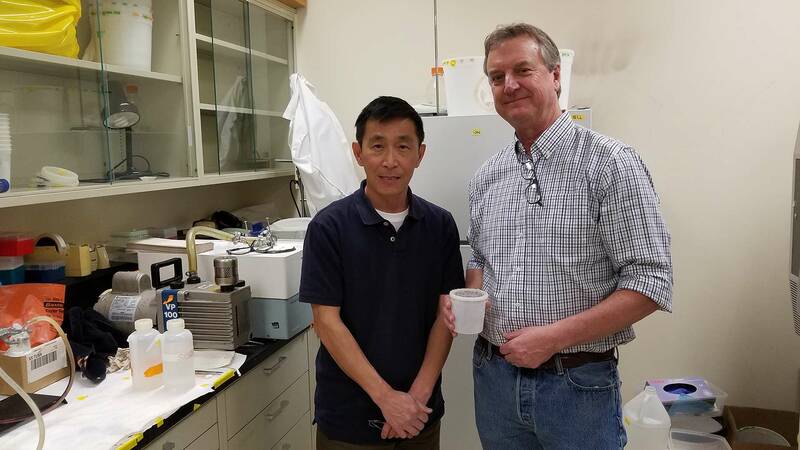 / Modified jan 11, 2019 12:09 p.m.
University of Arizona scientists have discovered a protein in mosquitoes that is crucial to the viability of their eggs. The research could lead to a reduction mosquito populations. 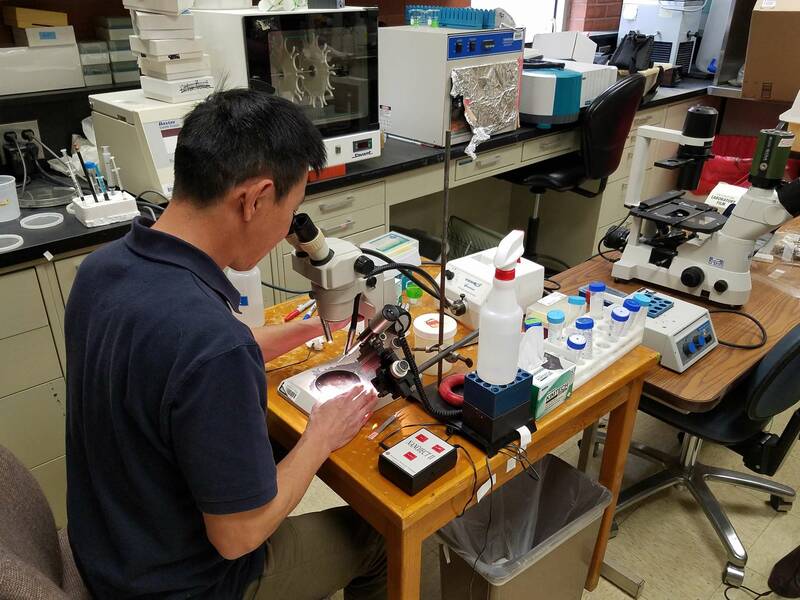 Jun Isoe led the study in which the researchers isolated 40 proteins specific to mosquitoes. "Since the mosquito genome has about 15,000 proteins, I did bioinformatics to try to determine which proteins are only present in the mosquitoes." They found that blocking one particular protein in female mosquitoes led to defective egg shells, which led to the eventual deaths of the embryos. Roger Miesfeld is head of the department of chemistry and biochemistry at the UA and oversees the lab where the findings were made. He describes their discovery. "We only injected females. He only injected before a blood meal, and then the question was, ... Did she digest the blood meal? Yes she did. Did she form eggs in her ovary? Yes, she did," Miesfield said. "Actually, in the ovary they looked fine, and then when she went to lay the eggs, and we were like, 'Oh my gosh, there's no eggshell or the eggshell is defective.' It was white it was kind of mushy. Of course, there were no embryos, no live embryos," Miesfield added. Isoe found that the protein — which he named Eggshell Organizing Factor-1, or EOF-1 — is not in the eggshell itself, but is operating somewhere in the ovary. 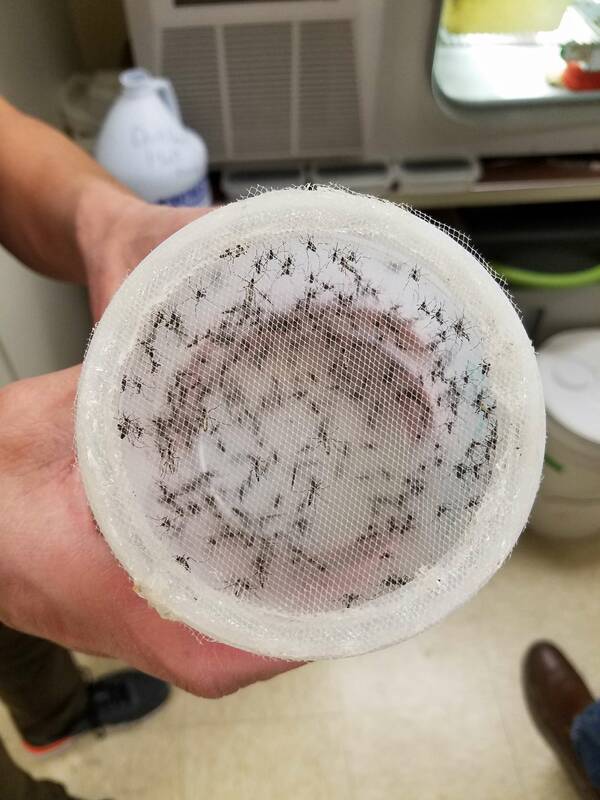 The researchers say targeting genes that are mosquito specific will allow for the reduction in disease-transmitting mosquito populations without harming other insects, animals or humans. Researcher Jun Isoe demonstrates how he injects mosquitoes.